Did you know that most laundry detergents can leave residue on your clothes that your skin is in constant contact with? 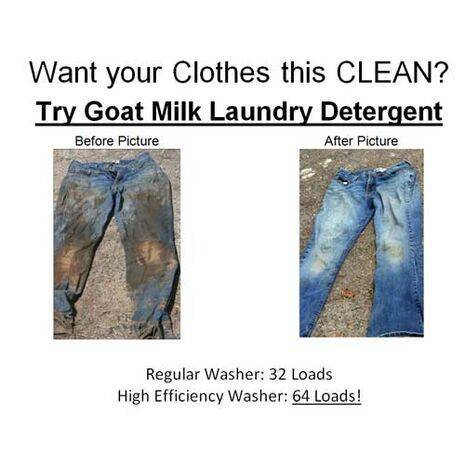 Do you know what chemicals are in your detergent? We do! 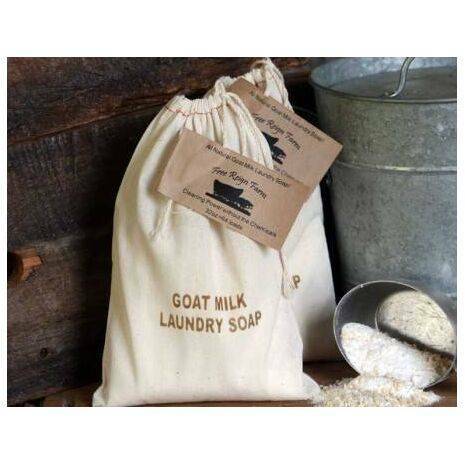 Our all natural goat milk laundry soap is made with a special ULTRA-Cleaning blend of goat milk soap and the cleaning power of washing and baking soda. It doesn’t suds like “chemical” soaps but that doesn’t mean it isn’t working! This Natural Laundry Soap is two POUNDS (32 ounce), comes in a cute cloth bag and will do about 64 loads for HE washers! Want to see if it really works? 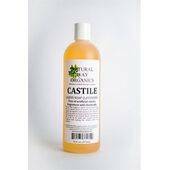 Check out this Natural Laundry Soap Blog.